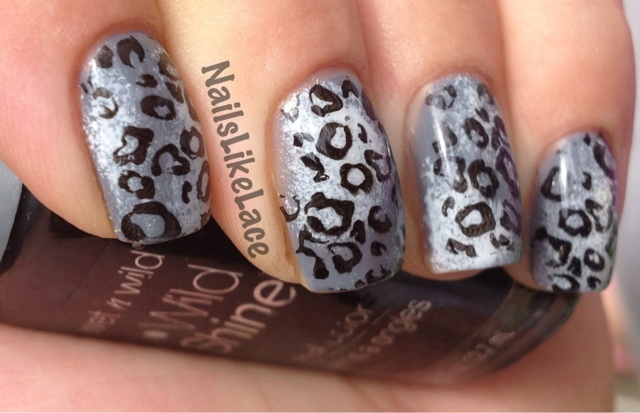 I have a pair of grey and white shorts with black leopard print on them that inspired me to do this look! Normally, I would have done the print freehand, but I was feeling lazy and opted for the quicker stamping, instead. Plus I'd never used that stamp on my Bundle Monster plate, and wanted to try it out. 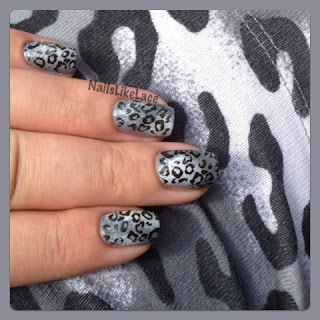 I started out with a grey base of L'Oreal Greycian Goddess, sponged with NYC French White, then stamped with Wet'n'Wild Black. The black could have been a little more opaque, but overall I am happy with how they turned out! I was also introduced to a new (to me) cuticle oil and I am loving it so far! 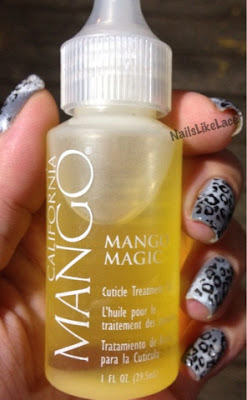 I have been using it for about a month in place of my usually custom Vitamin E and Jojoba oil mix; it is the California Mango cuticle oil. The ingredients don't seem like anything really special or out of the ordinary, but it smells amazing! Way too pricey for an oil, (especially when the Vitamin E cost me $2 for 4 times the amount) but I may add some of it to my regular oil for the scent and to prolong its life span!